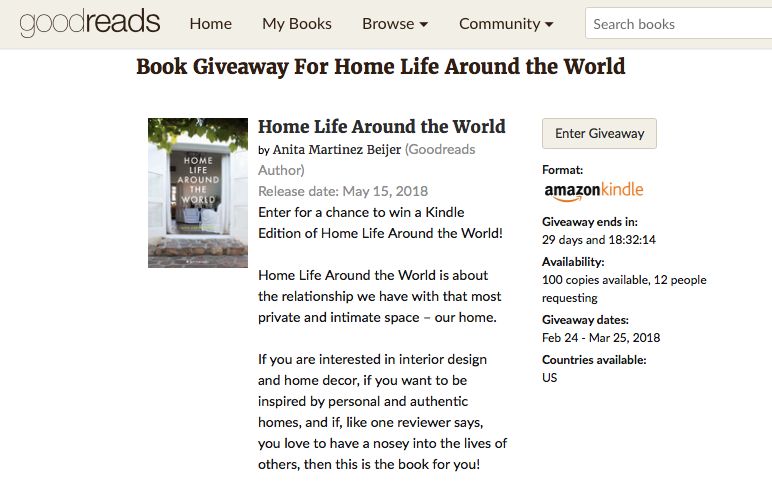 Enter for a chance to win a Kindle Edition of Home Life Around the World at Goodreads! If you are interested in interior design and home decor, if you want to be inspired by authentic homes, personal stories and if you, like one reviewer says, love to have a nosey into the lives of others, then this is the book for you! Click on this link to get to the offer! This giveaway offer ends on March 24th and is valid only for US residents.